Early childhood is an important time in the development of children, in which the course for learning is set-up for their later life. It is our task to guide children during this important time and to prepare them for the various challenges they will encounter. We put a special emphasis on teaching academic, social-emotional, motoric and basic life skills. 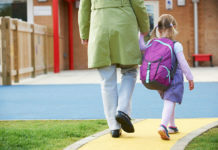 Our children are introduce to many topics in the classroom and on the playground by their teacher, who uses English starting the first day of school. It is our goal to foster, support and motivate every child individually. Together we want to discover his/her strengths and work on weaknesses by using pedagogical measures. In order to be effective, we employ a team of teachers who are continually developing their professional skills. This team of teachers collaborates with one another as well as with the Kindergarten families, to best meet the needs of the child. 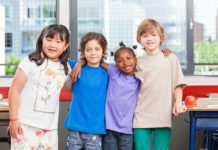 Our Kindergarten is characterized by international diversity and cultural awareness. We teach our children values like mindfulness and respect. 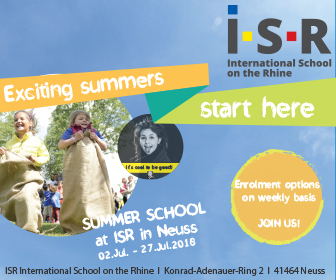 Children aged 3 to 6 attend the ISR Kindergarten. Until now it has been divided into two groups: KG 1 (children aged 3 to 4) and KG 2 (children aged 5 to 6). The KG 1 children spend their days learning through play, with some circle time sessions focused on learning specific concepts. The KG 2 groups have a more structured daily schedule, incorporating more formal lessons teaching academic concepts. We can accommodate 20 children in our KG1 classes and 22 children in our KG2 classrooms. We recommend that children stay in the Kindergarten for around three years, depending on the development of the child. In 2017 we started a pilot project that offers the 3 year olds their own Pre-K-program which targets the needs of our youngest children. After reviewing the program’s success, we have decided to incorporate it into our Kindergarten program for the next academic year. The Kindergarten uses the SABIS® Kindergarten Curriculum as well as the SABIS® workbooks to help plan the academic lessons. The curriculum provides a plan for learning letters and other English topics, as well as Math concepts. All subjects are taught in English from the first day of Kindergarten. German plays an important role as well: the children have five German lessons per week. It is the educators´ and Kindergarten teachers´ task to bring life to the curriculum and to enable the children to learn playfully. Children attend their mindful motoric movement lessons on a weekly basis to improve physical consciousness, balance and coordination as well as mindfulness and team work. Fine motor skills on are trained in the classroom, via a variety of different hands on activities (painting, sewing, cutting, drawing, etc). We go outside in rain or shine so the children can play and move on our newly expanded Kindergarten playground. We have installed a number of hills and climbing frames, as well as natural shelters to assist imaginative play. The steadily rising registration numbers are proof of our successful concept. Therefore we plan to add at least two new sections to the Kindergarten in the next academic year. The American-born Alexandra Vrem has led the ISR Kindergarten since August 2017. An educator since 1998 with a BA in Psychology and a Masters in Education, Ms. Vrem has held several posts of responsibility at ISR since 2003, including Academic Coordinator for Grades 5-8. Since starting at ISR in 2003, when the school first opened, Ms. Vrem has taught in the Kindergarten, Primary and Lower Secondary School.